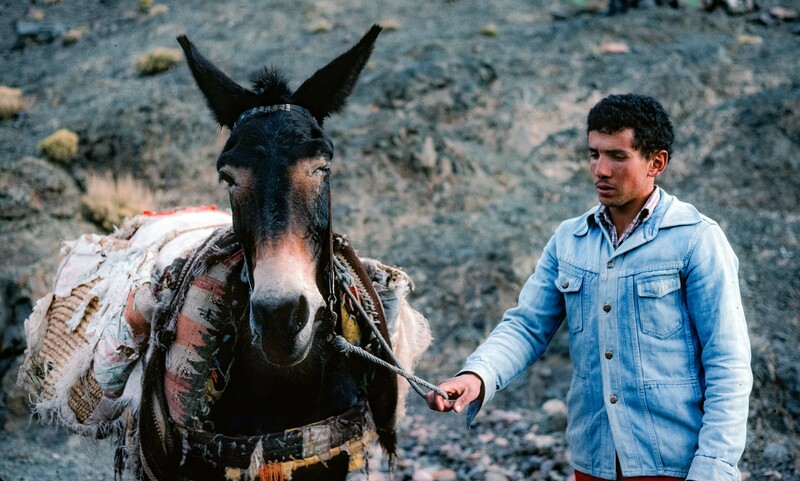 Morocco, Burro And Berber Man, 1988 - I was about to abandon my attempt to climb Mount Toubkal when this man offered to help. He turned his burro around and we went to his family's home in a high mountain villlage. That night there was a wedding. The next day he helped me find a guide. I was eventually turned back by weather and poor equipment.